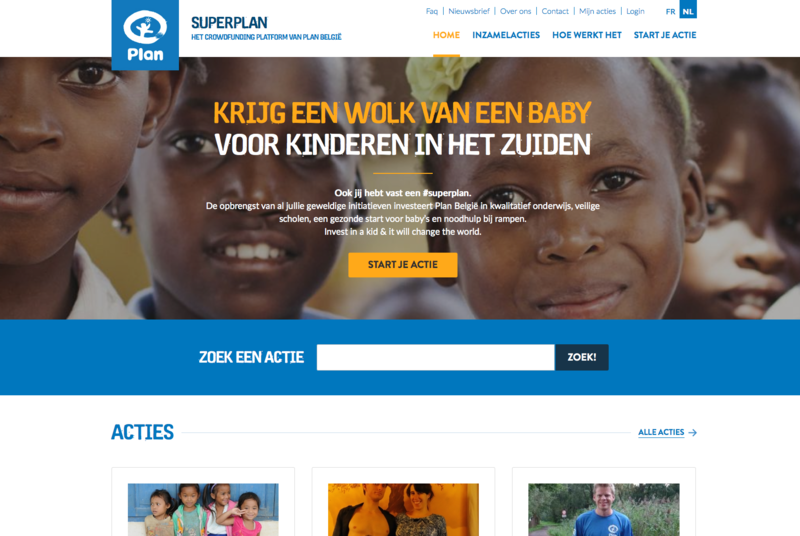 For Plan International Belgium we developed the crowdfunding platform Superplan based on Drupal commerce. On Superplan individual activists and supporting companies and organisations can make their own action pages in divers categories and collect funds for Plan International. We also are supporting Plan International in the development and templating of their donation software based on Blackbaud CRM.